Consider two puzzling phenomena. The first is the puzzle of what seems to be the of- or about-ness that characterizes thought. We have thoughts of things, we think about this or that. This is the phenomenon of intentionality, and the puzzle is how exactly to characterize it. For starters, it seems to be a relation, but the relata make the relation curious, because it seems that one of the relata don’t have to exist for the relation to obtain. You can think about Santa Claus or of a world of perfect justice and love, but neither of them exist. Moreover, the relation of aboutness doesn’t seem to require any particular level of accuracy, since a child’s drawing of a horse can still be of a horse, even if it looks more like a nightmarish potato. These two puzzling features of intentionality yield a philosophically heavy puzzle: What kind of thing or relation (or property) is the intentionality of thought? It doesn’t seem to be causal or physical (since that would require the existence of the relata), so how is it that it is a natural phenomenon? How can intentionality be naturalized? The second puzzle is that of the Given. One intuitive way to think about how empirical knowledge works is that experience provides us first with information about the world around us, because it is the product of our bodies being causally connected to it. Light strikes our retinas, our skin brushes a surface, our noses pick up a scent. Once we have this brute information, we then interpret it, turn it into a representation of the world, produce theories, and then test them by returning to brute experience. The trouble is, when we try to talk about those givens in experience, those brute cases that provide us with articulate reasons, we seem flummoxed as to how to characterize them. This is because all accounts we have of those givens are always with our conceptual (and so, already interpretive) vocabularies. The given recedes, and with it, we worry, so recedes our account of how our empirical knowledge is hooked up with the world it is about. 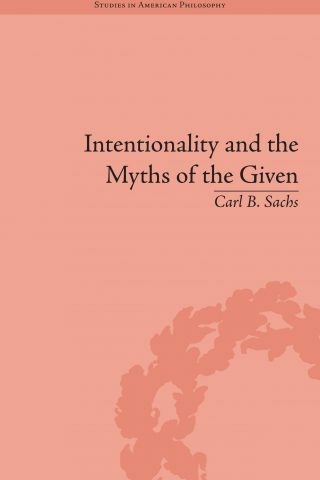 Carl Sachs’s new book, Intentionality and Myths of the Given (IMOG), makes the case that the two puzzles of intentionality and the given are tied together in an important way, and so, a solution to one of the puzzles provides the tools for solving the other. The puzzle of intentionality has taken on a great deal of urgency, given the fact that philosophical naturalism (the view that we can understand ourselves as purely natural beings) seems to be both appealing but also inconsistent with the puzzle of intentionality. The puzzle of the given has taken on a good deal of urgency, too, in light of the pragmatist tradition’s criticism of the view of givens as a myth. This, it seems, has put the realm of causes and the realm of reasons as distinct and irrelevant to one another. When these two puzzles converge, it becomes hard to see how we can successfully think about the world. Sachs’s insight is that the attempt to naturalize intentionality founders because the phenomenon is multiform, and two types of intentionality must be treated as distinct. There is discursive intentionality, which is exemplary in language-use and inference, and there is somatic intentionality, which is exemplary in bodily perceiving and doing. This bifurcated theory of intentionality, then, is a prime candidate for addressing the puzzle of the given, too. The somatic feature of intentionality, then, may yield a form of givenness as that puts us in contact with things around us and provides us with content to interpret with our more articulate discursive intentionality. This is the transcendental friction, as Sachs calls it (IMOG, 13), that we must have, if we are to think we are getting things right with empirical knowledge. Sachs argues that both accounts of intentionality are naturalist, since they are both about the natural phenomena of embodiment and language-use, respectively. And so, we’ve got a working solution (or, in this case a dissolution) to our two vexing puzzles. Sachs, in working through the details of this bifurcated theory, is philosophically omnivorous. He appeals to thought from the classical- and neo-pragmatist traditions. He pauses regularly to explain the impact of contemporary analytic philosophy, and he draws inspiration from the phenomenological tradition, making analogies to Merleau-Ponty’s model for perception at key junctions. In fact, part of Sachs’s story is that the phenomenological tradition provides the tools for an account of somatic intentionality that resolves the incompleteness of the neopragmatist model for discursive intentionality. He calls the normativity at this level of intentionality “habitual normativity,” which “consists of perceptual norms that in turn reside in bodily habits adopted toward perceptual objects” (109). In turn, we have a working model for how, as perceivers, we are not only responsible to each other (as Sachs puts it in Brandomian terms, “deontic scorekeepers”), but to the world, too. The result is a book that builds bridges between multiple traditions and problem areas in philosophy. Carl Sachs’s wide-ranging contribution to contemporary discussions of naturalism and normativity, Intentionality and the Myths of the Given, is guided by the question, what account can be given of the “ground-level, ‘original’ cases of intentionality” from which other cases of intentional content are derived, and how can this account be fully consistent with the natural sciences (Sachs 2014, 9)? While twentieth-century philosophers have attempted to answer this question in terms of rational, discursive intentionality, Sachs argues that intentionality should be understood as bifurcated; we need an additional concept of the non-rational, somatic intentionality characteristic of sentient animals (Sachs 2014, 8; 10). In this short response, I suggest that Sachs’s commitment to the bifurcation of discursive and somatic intentionality results from a misreading of Brandom’s concept of reliable differential responsive dispositions (RDRDs). Specifically, Sachs takes RDRDs to be independent of and non-essential to the institution of empirical concepts. On his view, Brandom comes dangerously close to jettisoning sentience entirely. In order to save sentience, Sachs argues for the existence of somatic intentionality as a “distinct additive capacity” (Lance 2016, 564) alongside discursive intentionality and, thus, for a bifurcated intentionality. I shall argue that on Brandom’s account RDRDs are not independent of and indeed play an essential role in the institution of empirical concepts. My reading of Brandom’s notion of reporting dispositions reveals that his account of observation relies on an implicit distinction between sapient, sentient, and non-sentient RDRDs, where the sapient RDRDs constitutive of observation presuppose the capacity to perform a wide range of sentient RDRDs. For Brandom, discursive practices are sensorimotor abilities, “paradigmatically,” as Sachs puts it, “those of the normative pragmatics of linguistic interaction” (Sachs 2016, 576). In this response, then, I present a modest defense of Brandom, hopefully showing in the process that he provides conceptual resources which, once made explicit, contribute to our understanding of discursive and somatic capacities “as a single entangled normative system” (Lance 2016, 564). Sachs’s transition from discursive to somatic intentionality proceeds by way of a critique of Brandom’s account of observation, which he claims “fails to accommodate properly the difference between the properties of sentient animals and the nature of causal powers generally construed,” and cannot “do justice to the embodied features of human existence” (Sachs 2014, 72; 111). On Sachs’s reading, Brandom’s linguistic account of intentionality comes dangerously close to jettisoning sentience completely (Sachs 2014, 75). In order to see how, let us turn to his reconstruction of Brandom’s account of observation. The issue here is that as long as the entity in question possesses RDRDs, no further analysis of the particular kind of RDRDs it possesses is necessary. Thus, on Sachs’s reading, any further characterization of the differences between sapient, sentient, and non-sentient RDRDs is irrelevant to Brandom’s account. The sufficiency of the mere possession criterion thus results in the unpalatable conclusion that Brandom cannot rule out the possibility of reasoning chunks of iron possessing observational knowledge despite the fact that they lack sensory awareness and purposive activity. That this is even a logical possibility is problematic for Sachs, because it renders the distinction between sentient and non-sentient RDRDs dispensable: we can attribute observational knowledge to an entity with no regard for the particular kind of RDRDs it possesses (Sachs 2014, 79). Because Brandom does not account for the differences in causal powers between sentient animals and insentient rocks, then, he cannot account for the role that our sentience plays in the institution of empirical content, and he comes dangerously close to jettisoning it completely. In order to remedy this problem, Sachs turns to his account of somatic intentionality. As we shall see, however, this transition turns on a misreading of Brandom. The misreading here is discernible in Sachs’s formulation of criterion (3): that the entity in question be able “to non-inferentially apply some of those concepts to its RDRDs.” We can see here that Sachs reads a bifurcation into Brandom’s account of perception, namely, that between conceptual applications and RDRDs. That is, because concepts are non-inferentially applied to particular RDRDs, there must be applicable concepts on the one hand, and the RDRDs to which these concepts can be applied on the other. Further, no distinctions need be drawn between particular kinds of RDRDs, since it is sufficient for the entity in question to possess RDRDs as such; any kind of RDRD will do. Thus, we are led to the unfortunate conclusion that Brandom’s view cannot rule out the possibility that chunks of iron can possess observational knowledge. While Brandom certainly makes the distinction between RDRDs and conceptual applications, Sachs overemphasizes the distinctiveness of the two notions. That is, he overlooks the extent to which conceptual applications are particular kinds of RDRDs. Indeed, Brandom’s account of observation relies on the assumption that such differences exist. While the chunk of iron responds to its environment by falling, rusting, and generating a magnetic field, the observer qua observer responds to her environment by undertaking and (occasionally) acknowledging a commitment with a certain content. That is, the sapient RDRDs constitutive of observation are distinctively reporting dispositions (Brandom 1994, 222; 223). The difference between the kind of non-sentient RDRD possessed by a chunk of iron and that possessed by a sapient observer is essential to the institution of empirical content. Indeed, Brandom states that these uniquely reporting dispositions constitute “the basis of observational knowledge” (Brandom 1994, 225, my emphasis). But what role does our sentience play in reporting RDRDs? It may be argued that a strictly inferentialist account of reporting observations still does not sufficiently account for the distinctive role our sentience plays in the institution of empirical content. For Brandom, observation relies on a wide range of sentient RDRDs. This is because, most fundamentally, reporting dispositions are elicited noninferentially by features of the environment (Brandom 1994, 225). This noninferential elicitation constitutes the distinctively empirical nature of observation reports (Brandom 1994, 225). This reference to the environment indicates the importance of distinctively sentient capacities similar to those Sachs specifies in terms of “organism-environment relations” (Sachs 2014, 109). Brandom’s notion of enabling and defeating conditions for observational authority make this clear. In order for us to attribute entitlement to an observer, we must first undertake a commitment to a set of enabling and defeating reporting conditions: the observer must be looking in the right direction, have her eyes open, not be drunk and woozy, not be standing on her head, etc. (Brandom 1994, 226). This set of conditions presupposes capacities for a wide range of shared, embodied comportments and purposive activities, i.e., sentient RDRDs, that must be performed in order for an observation report to be successful. Only once we acquire these distinctively sentient RDRDs can we turn to the nearest sapient, reproduce the complex neuromuscular responses necessary to utter the sound “red,” and initiate the distinctively embodied, sapient game of giving and asking for reasons. Not only, then, does discursive intentionality presuppose a wide range of somatic capacities, “discursive practices are themselves sensorimotor abilities” (Sachs 2016, 576). To recap, Brandom’s account of observation relies on a more or less implicit distinction between sapient, sentient, and non-sentient RDRDs. Sapient observation requires the capacity to perform uniquely reporting RDRDs. This, in turn, presupposes the capacity for a wide range of sentient RDRDs, a capacity which chunks of iron could not possess given their physical structure. Reasoning chunks of iron thus could not possess observational knowledge because they could not possess the capacity to perform the reporting RDRDs essential to the institution of empirical concepts. There is thus no need to posit somatic capacities in addition to discursive capacities; our discursive capacities are rooted in the wider range of sentient RDRDs of which we are capable. In other words, discursive practices are sensorimotor abilities, “paradigmatically,” as Sachs recently put it, “those of the normative pragmatics of linguistic interaction” (Sachs 2016, 576). In this sense, discursive and somatic capacities are not bifurcated, but entangled (Lance 2016, 564). Brandom, Robert. (1994). Making It Explicit: Reasoning, Representing, and Discursive Commitment. Cambridge: Harvard University Press. Lance, Mark. (2016). “Receptivity and Entangled Epistemic Capacities: Comments on Carl Sachs’s Intentionality and the Myths of the Given.” International Journal of Philosophical Studies 24(4): 558–566. Sachs, Carl. (2014). Intentionality and the Myths of the Given: Between Pragmatism and Phenomenology. Routledge Studies in American Philosophy. New York and Oxford: Routledge. Sachs, Carl. (2016). “Response to Critics: Sapience and Sentience Reconsidered.” International Journal of Philosophical Studies 24(4): 575–579. Ramirez argues that my criticism of Brandom goes awry because I do not acknowledge that his account of empirical knowledge implicitly requires a distinction between “sentient RDRDs” and “non-sentient RDRDs.” Importantly, Ramirez notes, empirical concepts require reporting RDRDs that in turn presuppose precisely the kinds of RDRDs that are unique (so far as we know) to sentient animals. Thus there is no need to worry about the logical possibility of sapient chunks of iron. Rather, if we can make out the kind of distinction that Brandom requires, I should have no objections to his project. I concede that in IMG, I was too much in the thrall of Hubert Dreyfus’s ground-floor/upper-storey metaphor of human mindedness. I had thought that a more pragmatist approach to the upper-storey would be sufficient. Lance (2016) and Levine (2016) pointed out that this commits me to a fatally problematic “additive” picture of human rationality. As Lance pointed out, if somatic intentionality and discursive intentionality are distinct capacities, then every perceptual judgment involves the use of two distinct capacities, much like chessboxing. I consider that a satisfactory reductio of IMG. What, then, remains? Perhaps an account of sentient RDRDs could do the work that Brandom requires. Yet while I can grant Ramirez’s central contention that there is implicit room for an account of sentient RDRDs in Brandom’s account of observational concepts, I nevertheless think that this overlooks the more crucial debate I want to have with Brandom: should we talk here about sentient RDRDs or sentient intentionality? What is at stake here is whether intentionality tout court should be restricted to that distinctive kind of discursively structured intelligibility in which we are answerable to the world by virtue of taking ourselves to be answerable to the world. In light of what considerations would habitual normativity, motivationally salient responsiveness to affordances and solicitations, fail to count as a kind of (operative, pre-reflective) intentionality? If we take intentionality to be “the mark of the mental” (however that phrase is explicated), then part of our question here depends on whether animals have real semantic content—if they really have minds—or if they have semantic content only “as if” or “so-called.” This has substantive implications for our ethical comportment towards non-human animals, as Brandom’s own views on mammalian pain imply. Likewise, if under the pressure of Brandomian interpretivism we were to say that only something that can play the game of giving and asking for reasons as we do, where the extension of “we” is paradigmatically (among other things) the non-disabled, can count as fully minded or possessing intentionality, then that position will have important implications for the ethical significance of cognitively impaired individuals. Here, then, is the issue: should we think about non-human minds in terms of sentient RDRDs (“robust tracking and flexible responsiveness that has no symbolic or conceptual content”) or in terms of sentient intentionality (“vaguely articulated taking as”)? 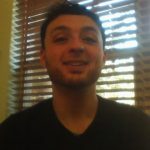 Drawing on decades of comparative cognitive psychology, Michael Tomasello (2014) posits that a cognitive system counts as individual intentionality if it is “a control system with reference values or goals, capacities for attending to situations causally or intentionally ‘relevant’ to those reference values or goals, and capacities for choosing actions that lead to the fulfillment of those reference values or goals” (pp. 8–9). In short, individual intentional beings are agents; they have both goals and the requisite sort of flexibility for satisfying those goals by navigating their physical and social environments. The complexity of those environments, and the difficulty of reliably detecting both opportunities and obstacles, requires that great apes be able to think: “thinking occurs when an organism attempts, on some particular occasion, to solve a problem, and so to meet its goal not by behaving overtly but rather by imagining what would happen if it tried different actions in a situation—or if different external factors entered the situation—before acting” (ibid., p. 9). Great apes can think, Tomasello argues, because thinking is problem-solving. To be able to solve a problem, an animal must be able to recognize a situation as problematic. It must be able to reliably locate a goal-satisfying feature of its social or physical environment such that if it were suitably positioned relative to that feature, the goal would be satisfied, but that it is not presently so positioned, and can represent what would need to be different about the situation or itself in order for it to be suitably positioned, such that the representations of the difference between its actual and desired condition can also guide the performances that are predicted to bring about the desired situation. This requires that the environments have perceptible features that are richly structured, heterogeneous, and difficult but not impossible to predict, such that the organism cannot satisfy its goals by relying on a few inflexible strategies. Great apes, Tomasello stresses, can think well in the causal domain, where they rely on a range of tool-making abilities to exploit the causal structure of their physical environments (e.g., stripping leaves of a twig of the right length and elasticity to fish for termites), and in the intentional domain, where they rely on a range of expressive gestures to exploit the intentional structure of their social environments (e.g., to appease a dominant male, reconcile with an ally, or beg for food). Great apes can even infer: they can make decisions based on thinking that conforms to patterns we can recognize as proto-negation, disjunction elimination, and even a kind of proto modus ponens. Their cognitive capacities are, Tomasello points out, “individually intentional and instrumentally rational” (ibid., p. 30), since they only reason in order to satisfy their goals, not to determine what goals they ought to have. On Tomasello’s view, great apes display inferential patterns that can only be made sense of in terms of vaguely articulated conceptual content, and that are too rich, flexible, and responsive to correction in light of failure for them to be mere “robust tracking and flexible responsiveness that has no symbolic or conceptual content.” Hence I think that we need to think of sentient intentionality, and not just sentient RDRDs, as complementing and extending a roughly Brandomian account of discursively articulated conceptual content. In short, what we need in lieu of “bifurcated intentionality” is more like a model of two-dimensional intentionality, where the intentionality of discursively articulated social practices is one dimension (“sapient intentionality”) and that of modally sensitive deployment of sensorimotor abilities relative to situations is another (“sentient intentionality”). Such an account has the promise of accommodating what is true in Brandom’s linguistic account of intentionality while acknowledging the continuity between humans and other animals. Lance, Mark. (2016). “Receptivity and Entangled Epistemic Capacities: Comments on Carl Sachs’ Intentionality and the Myths of the Given.” International Journal of Philosophical Studies 24 (4): 558–566. Levine, Steven. (2016). “Intentionality: Bifurcated or Intertwined?” International Journal of Philosophical Studies 24 (4): 551–558. Okrent, Mark. (2007). Rational Animals: The Teleological Roots of Intentionality. Athens: Ohio University Press. Rouse, Joseph. (2015). Articulating the World: Conceptual Understanding and the Scientific Image. Chicago: University of Chicago Press. Tomasello, Michael. (2014). A Natural History of Human Thinking. Cambridge: Harvard University Press. Bifurcated intentionality is the thesis according to which there are two different, and independent, kinds of intentionality. The first form, called discursive intentionality, has its “naturalistic home” in social practices. This is modeled on Sellars’s (and Brandom’s) view of intentionality and normativity. The second form, called somatic intentionality, has its naturalistic home in embodied action, and is modeled on Merleau-Ponty’s notion of motor intentionality. Allows for the notion of intentionality to be naturalized and saved from elimination. Avoids the Myth of the Given (and in particular, the Myth of the semantic Given). (1) ensures that our account of original intentionality makes intentionality’s place in nature non-mysterious. 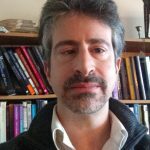 Sachs aims at responding to an eliminativist argument formulated by Alex Rosenberg, according to whom intentionality, being necessarily propositional, has no place in nature. (2) ensures that no item is treated as intrinsically intentional—as possessing intentional purport prior to having acquired an (often complex) role in perception, inference, and action. In worrying about the Given, Sachs’s project can be seen in continuity with C. I. Lewis and Wilfrid Sellars, although the specific way in which Sachs addresses the issue of non-conceptual content is quite different from both. (3) ensures that, when we reflect “on our most basic conceptual and perceptual capacities and incapacities, [. . .] we are in cognitive contact with a world we discover and do not create” (13). Our worries center on the ability of Sach’s account to satisfactorily meet his desiderata as well as the ways in which Sachs does and does not engage with other naturalistic accounts of intentionality. In bifurcating intentionality Sachs denies an intentionality continuum (which is the same as denying what he calls the “sensory-cognitive continuum”): somatic and discursive intentionality are different in kind. In Sachs’s view, somatic intentionality is the kind that has to help satisfy the Demand. The Demand is satisfied, according to Sachs, because the very existence of purposive behavior, where somatic intentionality resides, is in itself a guarantee that we are at grips with a world out there that we haven’t created. At the same time, however, somatic intentionality cannot and does not lend rational support to discursive intentionality. According to Sachs, if somatic intentionality’s role was to provide rational constraint to discursive intentionality, this would reintroduce the mythical semantic Given: simply, the given would “move” from the contents of our concepts to the contents of embodied perception. If that was the case, somatic intentionality would not be helpful in satisfying the Demand in a Myth-free way. We think this creates a tension in Sachs’s view. For it is unclear how somatic intentionality is supposed to constrain discursive intentionality. The constraint cannot be merely causal, otherwise somatic intentionality would not do a better job than Sellars’s sense-impressions in providing friction. The constraint must however be normative. But what kind of normative constraint can somatic intentionality—which is non-conceptual but objective—provide to discursive intentionality—which is conceptual and objective—if it is neither causal nor rational? What form does the normative constraint take? We suspect that part of the reason why it is hard to articulate how exactly somatic intentionality constrains discursive intentionality is that the notion of somatic intentionality isn’t designed to be objective. Somatic intentionality doesn’t seem to us a genuine bearer of objectivity of the kind that we see at work in discursive thought and linguistic practices. If Sachs abandoned the idea that somatic intentionality must play a role in the achievement of objective purport, then the constraint could be understood as practical. We also think that a non-objective construal would better fit Merlau-Ponty’s conception of somatic intentionality. Somatic intentionality provides, according to Merleau-Ponty, a very thin amount of normativity, enough for us (and other non-rational animals) to navigate our environment and represent it, rigorously from a first-person perspective, as inhabited by valences and invitations. The source of habitual normativity is the lived body (Leib), that Merleau-Ponty identifies with somatic intentionality. The lived body, though it is intentionality, is not at the same time a source of objectivity: the lived body is not an objective body, but it can only be experienced from the first-person perspective, and the structure it gives to the world isn’t objective, either: “Just as the lived body is not an objective body, the world is not an arrangement of objects in space” (Käufer and Chemero, 2015). Our second worry concerns the extent to which Sachs’s view takes into account and positions itself with respect to other, more “standard” yet still broadly “Sellarsian” naturalistic projects such as Millikan’s (1984). Millikan takes what she calls “local information” to play the role of the representation relation, to secure friction. But, importantly, local information is not intrinsically intentional. Perceptual systems produce informational products which acquire normative status when they are used by consuming systems. Producer-consumer coordinations are reproduced (selected) when they fulfill an (often derivative) biological function. Thus information states come to be contentful (intentional), to have genuine satisfaction conditions, when they are consumed by systems in a way that allows consumers to bring about responses that fulfill biological functions. Millikan’s most primitive intentional states are proto- or non-conceptual (non-propositional). They are what she calls “pushmi-pullyu representations,” which she sometimes describes as affordances (à la Gibson ). Pushmi-pullyu representations are hybrids of indicative and imperative contents, so they arguably do not have objectual purport. Representations come to acquire objectual purport only in creatures in which there are detached (decoupled) representations. In such creatures, the pushmi-side and the pullyu-side come apart. Differently from Sachs, however, Millikan’s account fully embraces the intentional continuum, that is, intentionality doesn’t bifurcate at any point. She ultimately accounts for linguistic meaning on the model of the biological model she uses for perception. Consequently, she seems better positioned than Sachs to account for transcendental friction. In addition, Millikan’s bio-semantics seems to have an advantage over the bifurcation view in that it makes the source of the normative standards for perceptual content much less mysterious than the appeal to Merleau-Ponty does. Having biological function as a source seems much more immediately intelligible than having some sort of primitive “sense” of the norms from which our experiences deviate wired into the lived body, as Merleau-Ponty thinks. Sachs does not so much as mention Millikan’s account (nor Dretske’s [1981, 1988, 1995]), and we find this a surprising and unfortunate lacuna. We also find it surprising that he fails to make any mention of Burge’s recent work on the origins of intentionality (Burge, 2010). Burge rejects attempts to naturalize intentionality on the basis of biological function alone, primarily because biological function is a fundamentally practical function, and practical functions are fundamentally different from representational functions. However, Burge thinks genuine representational function can be found in nature; that it is a natural kind. Thus Burge provides an account of non-conceptual (non-propositional) perceptual content by appealing to what mainstream perceptual science has discovered about perceptual system function. Burge’s account of intentionality might then provide an alternative way of satisfying the Demand. We think that the theoretical import of Sachs’s account would benefit from a direct and explicit contrast with both Millikan and Burge. For not only are Millikan’s and Burge’s among some of the most developed and influential accounts of non-conceptual content in the current literature, but they also both avoid being excessively reductive in the way Sachs seems to want to reject when he criticizes A. Rosenberg’s approach. Finally, it seems to us that the way Sachs understands the idea of “naturalizing intentionality” depends quite heavily on what he takes naturalism to be. Sachs seems to take for granted that the scientific naturalist’s project is reductive through and through, and this leads him to aim for a “non-scientific” kind of naturalism. 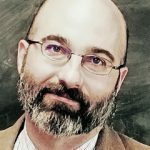 Although certainly Rosenberg’s project is a version of scientific naturalism, we don’t see non-scientific naturalism to be the only alternative to Rosenberg. Indeed, most of the (scientific) naturalistic projects out there are interested in realization, rather than reduction/elimination. We already mentioned Millikan and Burge, but there are many others that may be even closer to Sachs’s sensitivity for continental phenomenology; to name one, what Hutto and Myin (2013) call “Autopoietic enactivism” (Varela, Thompson, and Rosch 1991). Given the amount of less extreme alternatives, and the fact that Sachs himself seems to be looking for some kind of non-reductive naturalism (“I do accept deVries’s Sellarsian dictum that transcendental structures must be realized in causal structures,” p. 152), we wonder why Rosenberg’s view was selected to represent the naturalistic challenge in the book. In particular, we see a problem in Rosenberg’s argument that may make Sachs’s use of it as a polemic target strategically problematic. The argument is reconstructed by Sachs at the very beginning of the book (p. 9), and, according to Sachs, the problem with the argument lies in the claims that there is only one kind of intentionality (hidden assumption in premise 1), and that the naturalistic home of intentionality, if any, must be the brain (premise 3). Nothing is said about premise 41 of the argument, which strikes us as the most implausible. The error most likely lies in the conflation of what Dretske called the level of vehicles and the level of contents. Conflating these two levels is quite easy for a reductive naturalist who isn’t particularly wary, and it can have disastrous consequences for the credibility of her view. The discussion of the “Naturalistic challenge” both opens and closes Sachs’s book. We recognize the willingness on Sachs’s part to engage with naturalism and meet its challenge regarding intentionality, and we think that it gives the book the potential to become influential in the contemporary debate despite its historical “baggage.” However, precisely because we value the attempt to meet the naturalistic challenge, we wish he chose a different target. Burge, T. (2010). Origins of Objectivity. Oxford University Press. Dretske, F. (1981). Knowledge and the Flow of Information. Cambridge University Press. ———. (1988). Explaining Behavior: Reasons in a World of Causes. Cambridge, MA: MIT Press. ———. (1995). Naturalizing the Mind: 1994 Jean Nicold Lectures. Cambridge, MA: MIT Press. Gibson, J. (1979). The Ecological Approach to Visual Perception. London, UK: Erlbaum. Hutto, D., and Myin, E. (2013). Radicalizing Enactivism. Cambridge, MA: MIT Press. Käufer, S., and Chemero, A. (2015). Phenomenology—an Introduction. Cambridge, UK: Polity. Millikan, R. (1984). Language, Thought, and Other Biological Categories. Cambridge, MA: MIT Press. Varela, F., Thompson, E., and Rosch, E. (1991). The Embodied Mind. Cambridge, MA: MIT Press. Buccella and Springle take issue with the arguments of Intentionality and the Myths of the Given (hereafter IMG) along two major lines. Firstly, they argue that somatic intentionality cannot explain how discursively articulated thought can get the sort of traction with the world that I called “the demand for transcendental friction.” Secondly, they argue that the overall argument of IMG is distorted by ignoring more promising accounts of naturalized intentionality and taking Alex Rosenberg’s eliminativism about intentionality as a central target. In what follows, I shall attempt to respond to both criticisms, partly by defending those parts of IMG that still seem defensible to me and partly by explaining how my thinking about these issues has evolved since I wrote IMG. I quite agree that somatic intentionality cannot do the work that Buccella and Springle think it is supposed to play. But I am not sure that they correctly understand what role I think it is playing. This is partly because I was less clear in IMG than I ought to have been and partly because there is indeed a crucially important issue here that IMG fails to address. 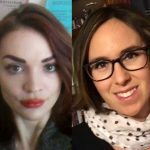 On the first point: I agree with Buccella and Springle when they write that “somatic intentionality doesn’t seem to us a genuine bearer of objectivity of the kind that we see at work in discursive thought and linguistic practices. If Sachs abandoned the idea that somatic intentionality must play a role in the achievement of objective purport, then the constraint could be understood as practical.” Quite so. But this criticism indicates a slight misunderstanding of IMG; I was not trying to show that somatic intentionality is a bearer of objective purport in the first place. Rather I was trying to show that somatic intentionality is a necessary condition for discursive thought to have objective purport. That is: given that objective purport is a constitutive feature of discursively structured thought, I wanted to show that discursive intentionality gets objective purport by way of how our bodily comportments are practically constrained by various affordances and solicitations. No doubt I was not as clear on this point as I should have been. However, in IMG this distinction also went missing because I failed to offer any account as to how somatic intentionality supplies the necessary constraint to discursive intentionality. Buccella and Springle are understandably frustrated with the absence of any explanation as to how the trick is pulled off. Accordingly, I shall offer a very brief sketch of how it might be. The most attractive candidate, I think, is some version of the social triangulation account defended by Davidson (1997/2001). Roughly, the idea is that social triangulation involves a coordination of embodied/embedded perspectives. Doing so in turn requires that each cognitive agent can reliably track the similarities and differences between its own detection, classification, and response to affordances and invitations and those of the other cognitive agent with which it is sharing some joint situation. Triangulation therefore gives rise to the ability to indicate a continuum that ranges from patterns and processes that have some degree of “mind-independence” or objective reality to those that are, in a very loose sense, “mind-dependent” or subjective. Notice, however, that one’s own grasp of objective reality therefore depends on how well one’s practical coping is integrated with the practical coping of others with whom one is engaged in cooperative action. In that sense, the objective purport of discursive intentionality has somatic intentionality as its necessary condition. I also quite agree with Buccella and Springle that IMG fails to address prominent and important attempts to naturalize intentionality, such as those of Millikan and Burge. But this is, I think, because the project I undertook in IMG was not the one that Buccella and Springle think I have undertaken. (Arguably, the project they think I did undertake is the one I should have undertaken.) The project of IMG was not an attempt to naturalize intentionality. It was, rather, an attempt to show how we should think about the very concept of intentionality. I do think that, on the account I defended (“bifurcated intentionality”), intentionality will be naturalizable. But it is one thing to say that intentionality is naturalizable, and quite another to show precisely how to naturalize it. In IMG I undertook only the first project, and not the second. That is why I did not engage with Millikan and Burge, as Buccella and Springle wish I had. Since Buccella and Springle slightly miss the overall intent of IMG, they also miss my purpose of selecting Alex Rosenberg as a target. I did not select Rosenberg because I thought that scientific naturalism really does entail eliminativism. Rather, I selected him because he seemed like a prominent example of how our thinking about intentionality can go badly wrong if one does not investigate the concept of intentionality itself. Using John Haugeland’s (1998) taxonomy, Rosenberg assumes a “first-base” conception of intentionality (intentionality as entirely constituted by relations between private mental states). It is a consequence of his being caught in the grip of a Cartesian picture of intentionality that he finds that it cannot be naturalized and must therefore be eliminated.1 The point of appealing to Sellars on how discursive intentionality is socially constituted and to Merleau-Ponty on how somatic intentionality is world-engaging pragmatic coping is precisely to undermine the picture of intentionality that Rosenberg uncritically assumes. That said, I do agree with the broader spirit of Buccella and Springer’s criticism: there is a serious need for me to naturalize intentionality, and show how my account fares by contrast with Millikan and Burge (among others), and not just show that the social pragmatist approach to intentionality (à la Sellars and Brandom) needs to be firmly grounded in the more basic “motor intentionality” of the lived body. IMG is the first chapter in a much longer story, and I am grateful to Buccella and Springle in urging me to be clearer about what the next chapter must be. Davidson, Donald. (2001). “The Emergence of Thought.” In Subjective, Intersubjective, Objective, 123–134. New York: Oxford University Press. Haugeland, John. (1998). “The Intentionality All-Stars.” In Having Thought, 127–170. Cambridge: Harvard University Press. One of Carl Sachs’s central claims in Intentionality and the Myths of the Given is that the bifurcated conception of intentionality he defends is able to meet the Demand for Transcendental Friction without falling into the Myth of the Given, while other conceptions on offer cannot meet this Demand. The Demand for Transcendental Friction is the requirement “that it must be possible, by reflecting on our most basic conceptual and perceptual capacities and incapacities, to guarantee that we are in cognitive contact with a world we discover and do not create” (13). The Demand requires that we be able to see our judgments as normatively (or at least proto- or quasi-normatively) constrained by something that is not merely “more of the same” (18). Sachs claims that McDowell’s conception of experience cannot fulfill the Demand. Why? Because of McDowell’s thoroughgoing conceptualism. According to McDowell, we can embrace transcendental empiricism (McDowell’s labelling of the transcendental demand) while avoiding the Myth of the Given if we conceive of experience as an external mental state, involving sensory consciousness, in which the facts of the world bear in on the experiencing agent, and in which the conceptual capacities of the experiencing agent are passively drawn into actualization, and drawn into actualization with the same “logical togetherness” as would apply in the case of a judgment. McDowell’s “Avoiding the Myth of the Given” refines this slightly, by admitting that the sorts of “logical togetherness” are not exactly the same in the case of experiences and judgments. Sachs is quite right that the minor refinements to his conception of experience offered in “Avoiding the Myth of the Given” (introducing the distinction between propositional content and intuitional content) do nothing to back away from the conceptualism about experience that McDowell advocated in Mind and World. Now, the way that I’ve explained the Demand for Transcendental Friction thus far doesn’t fully explain why McDowell’s conception of experience should be judged by Sachs to fail on that account. For on McDowell’s account of things, experiences can justify our judgments. And these experiences are not merely “more of the same.” On the contrary they constitutively involve the worldly facts that the agent takes in when experiencing them. Thus they are by their very nature worldly, and well-suited to play a grounding role. In McDowell’s telling of things, it is only the involvement of conceptual capacities in experience that creates a problem for those in the grips of what he takes to be a scientistic form of naturalism—a naturalism of natural lawfulness.1 But such a conception of the natural world is optional and dispensable, and when it is discarded our philosophical problem vanishes. In place of a scientistic conception of the natural world, we need, he says, a “naturalism of second nature” (McDowell, 1996, p. 91). McDowell takes it that his conception of experience provides all the transcendental grounding we need, but Sachs takes this account to be inadequate. According to Sachs it fails to meet the Demand for Transcendental Friction. Sachs writes: “McDowell cannot satisfy the Demand, because the Demand requires that conceptual content be constrained by something external to it” (19). But why should we interpret the Demand this way? Why shouldn’t we take the Demand for Transcendental Friction to merely require that we be able to see ourselves as in touch with a world we discover and do not create—and normatively constrained by states that are not “more of the same”? Sachs has a particular way of interpreting the Demand for Transcendental Friction: the Lewis-Sellars thesis, which says that the Demand for Transcendental Friction cannot be satisfied if all content in our picture is conceptual (13). As Sachs correctly notes, McDowell’s project is an attempt to provide a transcendental constraint within the conceptual sphere. The Lewis-Sellars thesis would also make good sense if one assumed that the only alternative to this internalist way of conceiving of the mind and the world as radically distinct would have to be the sort of “repulsive idealism” that says that we make the world (McDowell, “Two Sorts of Naturalism,” 180). Without these assumptions the Lewis-Sellars thesis seems insufficiently motivated. And if the Lewis-Sellars is not assumed, there is a plausible argument that McDowell’s conception of experience can satisfy the Demand for Transcendental Friction. Again, his experiential states are described as including the facts of the world that bear in on the experiencing agent. Hence they are not merely “more of the same” sorts of states as our networks of judgements. And while McDowell describes his picture as a version of idealism, he explicitly rejects the idea that it is a version of idealism that says that we create the world. Hence the facts we take in when in McDowell’s experiential states are something we discover and do not create. Sachs emphasizes the respects in which McDowell’s philosophical approach is indebted to P. F. Strawson (89). Not only does the “how so much as possible” approach to the issues of cognitive semantics get inspiration from Strawson, but McDowell shares with Strawson the view that descriptive metaphysics is a possible and worthwhile philosophical activity. In Sachs’s telling, the way McDowell’s descriptive metaphysics differs from that of Strawson is its critical emphasis. “Descriptive metaphysics can be critical by liberating us from partial, one-sided, or limited self-conceptions. Such conceptions hold us captive by making certain questions seem compulsory for philosophical reflection” (90). While everything Sachs says here is right as far as it goes, his explanation of this critical aspect does not sufficiently (to my mind) emphasize the extent to which this critical or diagnostic approach in McDowell’s work draws its inspiration from Wittgenstein. McDowell’s philosophical approach is best thought of as diagnostic and therapeutic. The aim of diagnostic philosophy is to reveal that seemingly compulsory philosophical problems can come to vanish once optional theoretical missteps have been avoided. In Mind and World McDowell was particularly concerned to diagnose and help to dislodge the scientistic “naturalism of natural lawfulness” that prevented philosophers from seeing how transcendental empiricism and the avoidance of the Myth of the Given could both be respected. But before we can achieve the liberating results that the adoption of a naturalism of second nature promises, we need to have already worked our way through Wittgenstein’s rule following considerations, and found our way through to seeing that internalism in the philosophy of mind is another optional and dispensable misstep. Only someone who has followed McDowell thus far, and thus found their way past an overly restrictive form of naturalism and past the temptation to think of mental states as inner will find it so much as possible to adopt the conception of experience he advocates. But for any such thinker, the Lewis-Sellars thesis must look like an artifact—a piece of theorizing that would naturally go by the board once we had gotten past internalism about mental states. I am not endorsing McDowell’s picture. I have my own doubts about it: about whether it can really avoid being an objectionable form of idealism, and about whether the version of naturalism McDowell asks us to discard is really something we should feel free to let go of. Perhaps we should admit that what I’ve been calling a naturalism of natural lawfulness is a deeply felt intuition with more of a claim to our allegiance than either the idea that the Given is a Myth or that Transcendental Empiricism is correct. But in any event, Sachs’s argument that his own bifurcated conception of intentionality fares better than McDowell’s picture (because bifurcated intentionality can respect the Demand for Transcendental Friction) depends on accepting the Lewis-Sellars thesis—that is, it depends on a particular way of reading the Demand for Transcendental Friction. And it is questionable whether anyone who was honestly in a position to accept McDowell’s conception of experience (for whom it could be a live question whether they might be better off accepting Sachs’s picture, instead) could look upon the Lewis-Sellars thesis as something that was well motivated and worth accepting. In his criticism, Morton takes aim against my criticism of McDowell. Morton and I agree that McDowell also attempts to satisfy the Demand, but on my view, McDowell’s conceptualism prevents him from doing so. Morton objects, because McDowell’s conceptualism allows for experiences to “constitutively involve the worldly facts that the agent takes in when experiencing them.” As Morton rightly notes, it is central to McDowell’s view that we do not need to posit nonconceptual content in order to satisfy the Demand. But why not? On Morton’s view, it is that we would need nonconceptual content to satisfy the Demand only if we were committed to an “internalist/Cartesian” thesis about mental states. In what follows, I shall attempt to show why I find McDowell’s alternative unsatisfying and why rejecting internalism about mental states does not resolve the underlying problem about the need for non-conceptual content. Though I agree with Morton on McDowell’s diagnosis of what Davidson calls “the Myth of the Subjective,” I have strong reservations about the conception of intentionality that McDowell recommends in its place. Thus, there is a genuine opposition between McDowell and Sellars (and Brandom) as to whether intentionality is a world-involving relation. McDowell thinks that it must be, if the idea of empirical content is to be at all intelligible, and that only a misleading conception of mindedness (“the Myth of the Subjective”) prevents us from seeing so. Sellars, and to some extent Brandom, think that this cannot be right. The point of distinguishing between somatic intentionality and discursive intentionality is to show how Sellars and McDowell can both be right, in their respective ways. I want to retain the Sellars/Brandom thesis that intentionality is not world-relational because I share with Sellars the need to reconcile intentionality with a naturalistic picture of the world. If all intentional objects are included within the ontology, we must give up on naturalism. This is not just a puzzle about “intentional inexistence” but also follows from the familiar fact that we can have thoughts about numbers, souls, freedom of the will, and God. If every actualization of conceptual capacities were the bearing of a worldly fact on one’s thinking, then we could not sustain a commitment to an austere ontology that only countenances entities that can be subjected to the kinds of public verification of which the natural sciences are a remarkable paradigm. And yet McDowell is surely right that the very idea of empirical content, or of objective purport, does require that intentionality is world-relational. What we need is a way of thinking about intentionality that secures the objective purport necessary for empirical content without allowing for an inflated ontology. My solution, briefly, is that somatic intentionality is world-relational and that discursive intentionality is not. Yet there are serious difficulties with this view, and I hope it is not beyond repair. 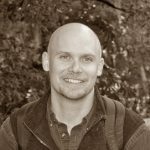 I should have made clear, in endorsing McDowell’s rejection of “the Myth of the Subjective,” that the distinction between somatic and discursive intentionality is not a distinction between two kinds of intentionality, one relational and the other not, but rather a distinction between two different kinds of relationality. Somatic intentionality is a relational engagement with perceptible features of the environment in which one is embedded and to which one is responsive. Discursive intentionality is a relation between differently embodied-and-embedded subjects; it is an intersubjective relation. Thus I am an externalist about mental content, only with a key proviso: social externalism about conceptual content and physical externalism about non-conceptual content. Pace Morton, both Lewis and Sellars were social externalists about conceptual content; their commitment to non-conceptual content was not based on internalism about concepts, but rather the need to halt the dialectic that leads from social externalism about conceptual content to absolute idealism. Unlike Lewis and Sellars, however, I think (with Merleau-Ponty) that our embodied being-in-the-world has its own distinct kind of intentionality, what he calls “motor intentionality” and I called “somatic intentionality.” The assumption that the intentional is the discursive—an assumption shared by Kant, Hegel, Lewis, Sellars, Brandom, and McDowell—is precisely what I aim to reject. This is the breakthrough of Merleau-Ponty’s Phenomenology of Perception (though building on the discoveries of the late Husserl). Perhaps if I had been clearer on this point in IMG, Morton would not have thought that I succumb to the Myth of the Subjective. On my current picture, my perceptual awareness of a sensible particular—e.g., the redness of a book’s cover—is both a mode of bodily engagement with affordances and solicitations of that feature of my environment and a disposition to commit myself to the judgment “the cover of that book is red” in a discursively appropriate context, where the appropriateness of the judgment is assessed in light of the similarities and differences between my bodily engagement as discursively expressed and those of the people with whom I am conversing, as discursively expressed. Thus I can satisfy the demand for transcendental friction—the demand that thought has objective purport, real traction with the world—without accepting a conception of discursive intentionality that, as directly world-relational, leads to a vastly bloated and anti-naturalistic ontology. McDowell, John. (2009a). “Experiencing the World.” In The Engaged Intellect, 243–256. Cambridge: Harvard University Press. McDowell, John. (2009b). “Intentionality as a Relation.” In Having the World in View, 44–65. Cambridge: Harvard University Press. Naturalism, Scientism and Worldly Facts. Sach’s reply is interesting and illuminating. It shows that the concern behind the Lewis-Sellars thesis is naturalism. It is a concern with our ability to hang onto a recognizably naturalistic picture of the world that would exclude McDowell’s approach to experience. Sachs’s reply seems to admit that McDowell’s conception of experience would get the job done in terms of retaining the requisite worldly constraint on our thinking, if we could bring ourselves to accept the conception of the world that it requires. It would secure thought that has objective purport and real traction with the world — but only at the cost of what Sachs calls “a vastly bloated and anti-naturalistic ontology.” As I mentioned (above), I too have reservations about McDowell’s conception of experience, and these reservations primarily revolve around the naturalism issue. In the light of Sachs’s extremely clarifying reply, I’d like to say a little more here to reinforce the concern with McDowell’s treatment of the naturalism issue. McDowell, of course, would find Sachs’s Sellarsian concern for and commitment to “an austere ontology that only countenances entities that can be subjected to the kinds of public verification of which the natural sciences are a remarkable paradigm” to be an unfortunate symptom of scientism. McDowell affirms a Tractarian conception of the world (the world as all that is the case – a world of facts). And his conception of experience requires that there be worldly facts that can be ‘taken in’ in experience. His identity conception of truth requires that there be worldly facts that are truth-makers for true thoughts. I use the word ‘worldly’ in the preceding sentences to emphasize that McDowell’s conception requires that facts be taken to be the sort of thing that the world is made up of (only that would allow his conception of experience to provide the needed worldly constraint required to end our oscillation between the Myth of the Given and frictionless coherentism, on his view of things). Of course, McDowell leveling the charge of ‘scientism’ isn’t going to change the views of anyone who finds the idea of his Tractarian world to be intolerably weird. And so the diagnosis and recommended therapy that he offers in Mind and World (his identification of orthodox naturalism as the misstep that prevents us from seeing his conception of experience as an option) is going to look somewhat perverse. For McDowell asks us to let go of a conception of the world that has far more intuitive appeal than either of the central philosophical intuitions that set up the problem of empirical content (the rightness of Sellars’s attack on the Myth of the Given, and the rightness of Transcendental Empiricism). For naturalists of a more orthodox sort, Transcendental Empiricism as it is understood by McDowell (that is, the claim that the world’s impressions must justify for us to retain empirical content in our picture) is the thesis that seems the least intuitively plausible of the lot. Now, despite these last comments of mine, I must admit that I’m not actually fully convinced that McDowell is wrong when it comes to the naturalism issue. Perhaps we shouldn’t think of McDowell’s world as intolerably weird. And perhaps we wouldn’t if we thought harder about it. Sachs complains that McDowell’s approach would result in a vastly bloated and anti-naturalistic ontology (and I echoed his complaints above). But would it? It would surely result in our having to admit that the world was a bewildering complexity of facts. We would have to admit that there are vastly many worldly facts of all different sorts. But it would not necessarily have to result in an inflation in the number of objects we admit to exist in the world. For there is no one way in which objects figure in facts. Perhaps we’ll just have to admit that a limited store of objects can perform duties figuring in many facts of varying sorts. For those interested in pondering this over further (and for reading more about the idea of “objects figuring in facts”) I refer you to McDowell’s “Responses” in John McDowell: Reason and Nature, ed. Marcus Willaschek, pp. 93-4. In any event, I only have inchoate intuitions on this matter, and it’s certainly a bigger topic than I can address in the closing sentences of a reply like this one.